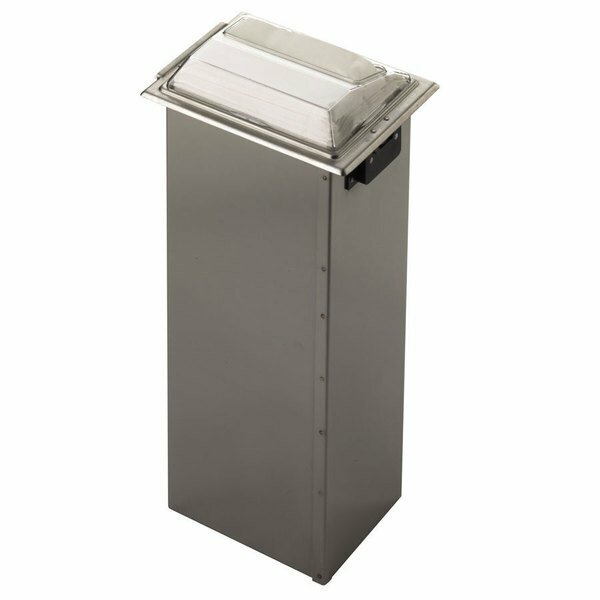 Clean up your condiment counter with this San Jamar H2001CLSS in-counter fullfold napkin dispenser! This space-saving solution takes up the smallest amount of countertop possible, with only the face showing above the counter while the additional 20" of napkin space is hidden neatly underneath. With a capacity of over 750 napkins, this unit is perfect for fast food establishments, restaurants offering outdoor service, and ice cream parlors. Along with being compact, this dispenser features a clear control face that ensures one-at-a-time dispensing of napkins, which reduces napkin waste and saves you money! It is made of durable stainless steel which will resist rust and tarnishes, and is sturdy enough to stand up to years of heavy use. It is easy to use and can help to create a more organized and clean condiment counter. We love this dispenser in our Store. It's recesses into the counter which allows the napkins to be put in placed in an easy space for customer to obtain. We love it.